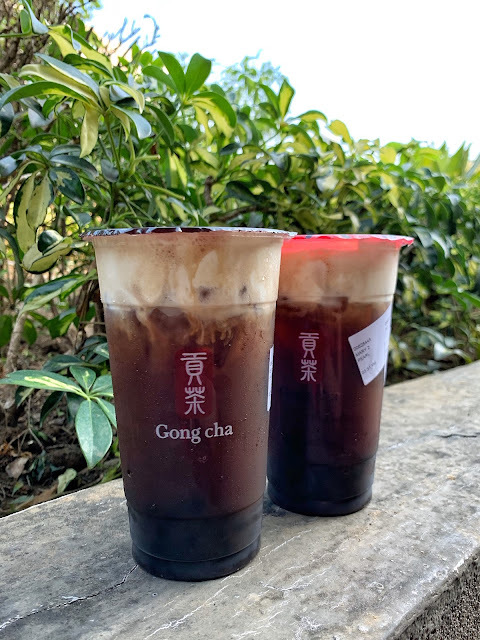 The milk tea craze doesn't seem to be ending anytime soon and everyone's hooked with different joints' brown sugar concoction. I've tried a handful but none really stood out for me yet. And next on my list was Gong Cha's Milk Brown Sugar. 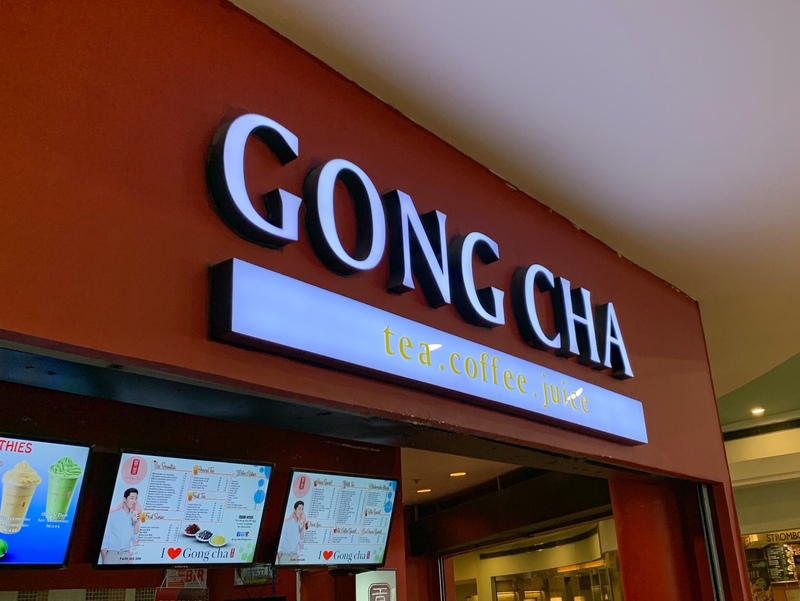 It has been a long while since I had Gong Cha. I stopped frequenting Gong Cha after numerous failed attempts in getting the coffee-based drink that I liked. But seeing its Milk Brown Sugar (PHP130 + PHP16 for pearls) drink intrigued me and it being part of Booky's BOGO deal further convinced me to pay one of its branches a visit. I opted to go to its Trinoma branch and there was a short line when I dropped by around 3:30 p.m.. Service was quick and I got my drink in less than 10 minutes. Before handing my drinks to me, the server asked if my drinks are to go. And when I said yes, she placed my drinks in an eco bag. I have to admit, I was impressed! Worried that the drink might be too sweet, I had mine at 50% sugar level while R's was at 100% (given that he loves sweet stuff). And it was just right for me. I love how pronounced the brown sugar taste was yet you could still get the tea flavor. I would have enjoyed this more with some savory treats but I finished my drink in just a couple of minutes. This drink is best enjoyed when the heavy cream and milk tea are mixed well. I wasn't able to shake mine that well that a spoonful (or two) of cream was left after finishing my drink. 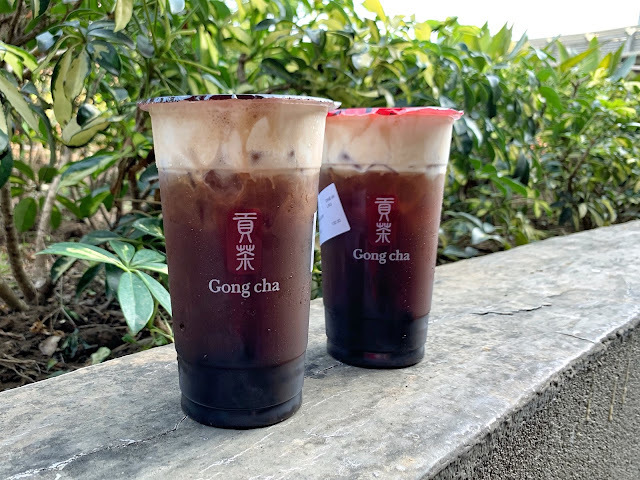 I'd definitely drop by Gong Cha again for this, whether with BOGO deal or not. 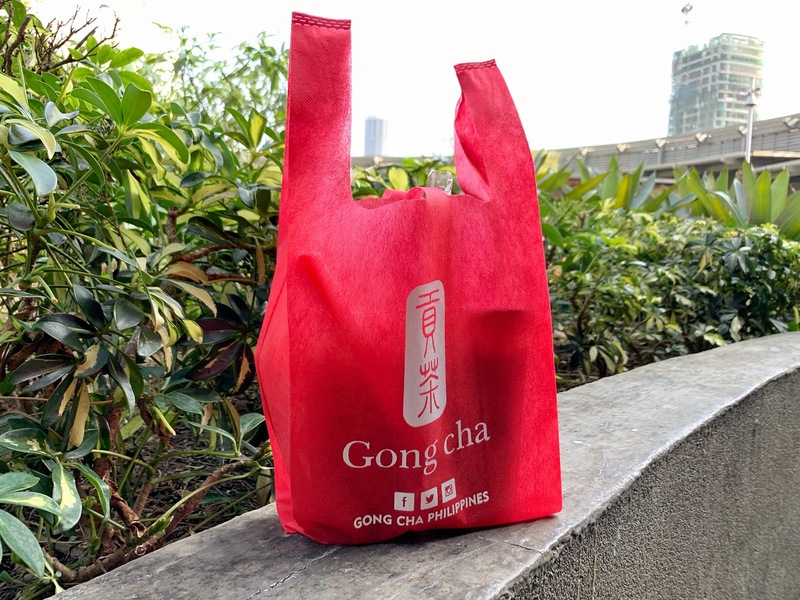 Gong Cha is located at 4th Floor, Trinoma Mall, Quezon City.